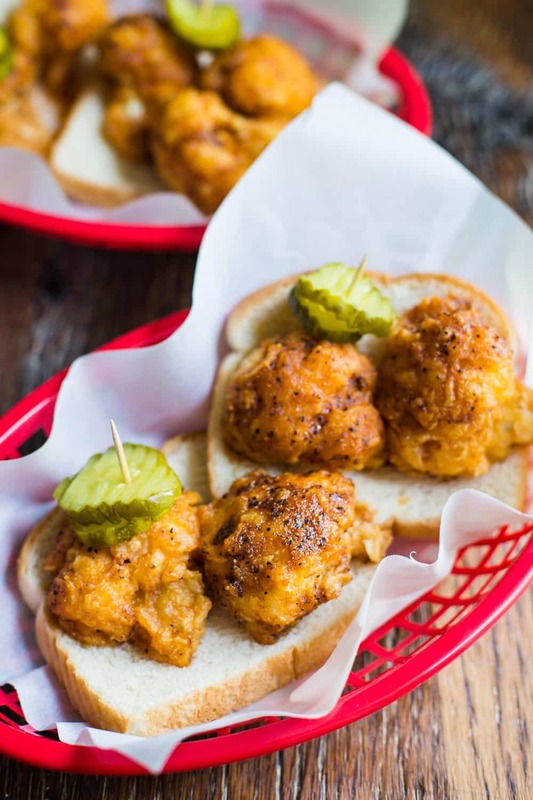 Cauliflower Nashville Hot “Chicken”. Yep, I went there. I figure that I’m going to equally praised and ridiculed for this recipe. But, I’m okay with it because it’s DELICIOUS!! 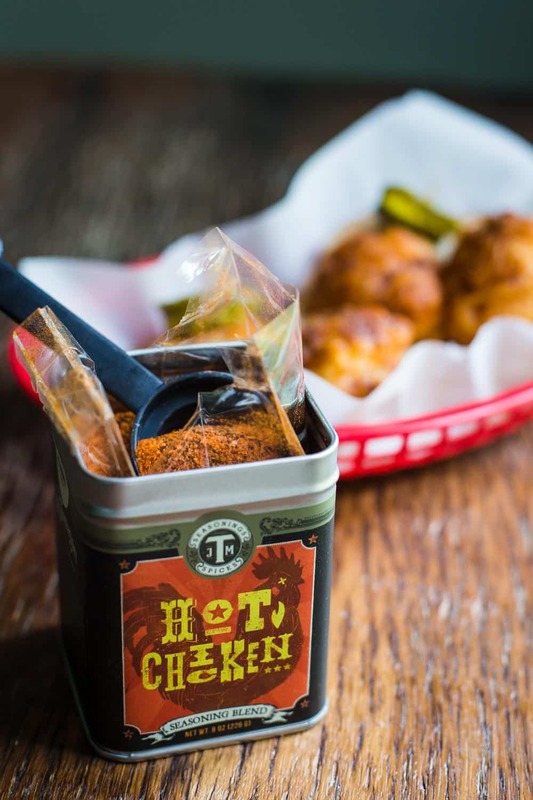 Are you familiar with Nashville Hot Chicken? It’s kind of a big deal here. Maybe you at least heard about it when KFC started selling their own version of it? To give a simplified overview: it’s basically southern fried chicken that’s been COVERED in all the spicy spices that exist in the south making it (at least for me anyways) next to impossible to eat without crying. I’m honestly not sure WHY it’s such a thing here in Nashville but it is. And people are SERIOUS about their Hot Chicken. I’ve written a few local articles about it and each time I get SO much ridicule. I suppose it’s similar to BBQ……everyone has a favorite place/ method of cooking that they prefer and to them, ALL other places are inferior. 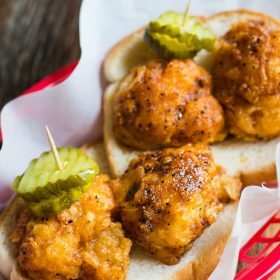 If you’re just really curious and want to know more, I’ve written TWO Thrillist articles about Nashville Hot Chicken. First, here’s one NOT written by me that explains the origins of Nashville’s Hot Chicken. 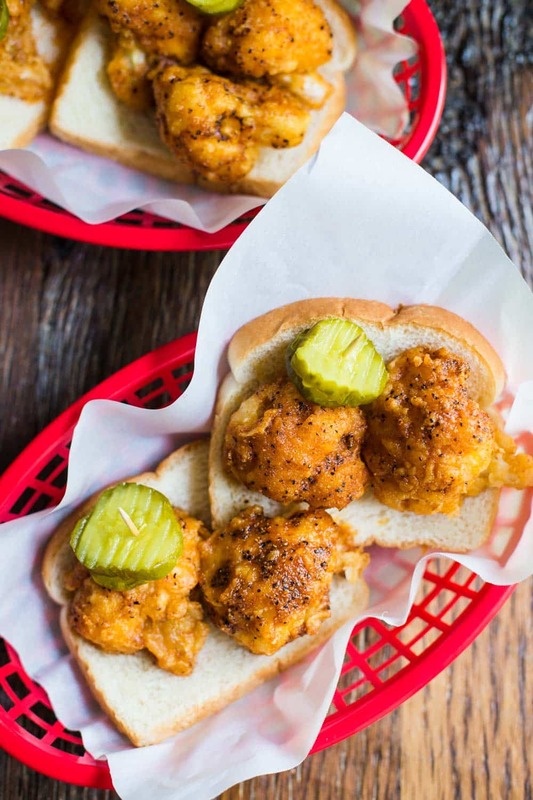 THIS ONE is a ranking of all the hot chicken joints in Nashville and THIS ONE is a list of “under the radar” hot chicken dishes such as hot chicken tacos, nachos, and a hot chicken breakfast sandwich (I’m telling you, Nashville is obsessed!). And seeing as I never want to see chicken meat again after getting backyard chickens and falling in love with them, I thought that I would create my very own vegan/ vegetarian version of Nashville’s Hot Chicken. In all honesty, I’m SUPER proud of how well this recipe turned out! It makes me want to have a party just so that I can make this for a bunch of friends! Good ole cauliflower replaces the chicken. I wonder who first had the idea to fry up cauliflower as a meat alternative…? I like them a lot and thank them! Next, the spices. Your best bet is to simple use the spices you probably already have on hand. This spice recipe is a good place to start. But it’s pretty basic: garlic powder, chili powder, paprika, brown sugar, and cayenne. HOWEVER, I found this little tin of hot chicken spice mix at the farmers market and went with it. I’m a sucker for local products and this particular blend is from a company called J.M. Thomason. You can buy the spice blend online HERE. I added a little brown sugar to mine. 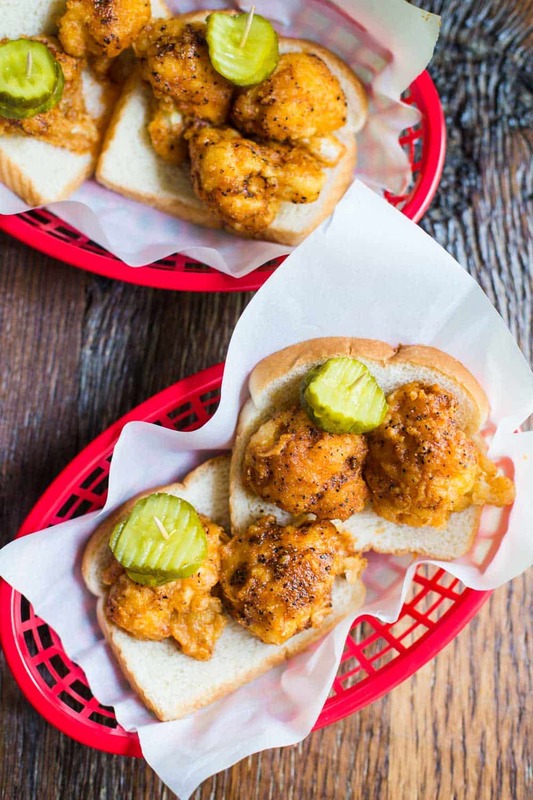 The other important thing for you to know about Nashville Hot Chicken (or in our case, Hot Cauliflower) is that it MUST be served with pickles stuck to the top of the dish with toothpicks and it MUST be served atop a bed of white bread slices (the super simple cheap kind…nothing fancy here). The combination of the pickles and the white bread is meant to help with the heat. However, if it’s true Nashville Hot, nothing can really save you. So, that’s it. I might actually lose my Nashvillian status for this recipe but I’m proud of it! And, now that I’ve perfected fried cauliflower, you might expect to see a bit more of it in he future. But, not too soon…..there’s only so much fried food that my body can take. Oil for frying. I used vegetable oil and needed about 4 cups. You want enough so that the cauliflower is at least halfway covered when in the pot. Chop up the head of cauliflower into bite sized pieces. Set aside. In a wide, shallow bowl, whisk together the flax eggs, almond milk, and hot sauce. In a separate shallow bowl, whisk together the flour, corn starch, baking powder, and salt. Heat your oil in a heavy bottomed pot over medium high heat. To test that it’s ready, drop a bit of the batter (wet ingredients mixed with the dry ingredients) into the pot. Once it floats to the top, the oil is ready. Prepare a place for the fried cauliflower to rest after it comes out of the oil. I’ve found the best results by places a wire rack over top of a baking sheet and then placing a paper towel under the rack to collect some of the oil. Working in batches, dip the cauliflower pieces in the wet mixture, then dip each piece fully in the flour mixture. 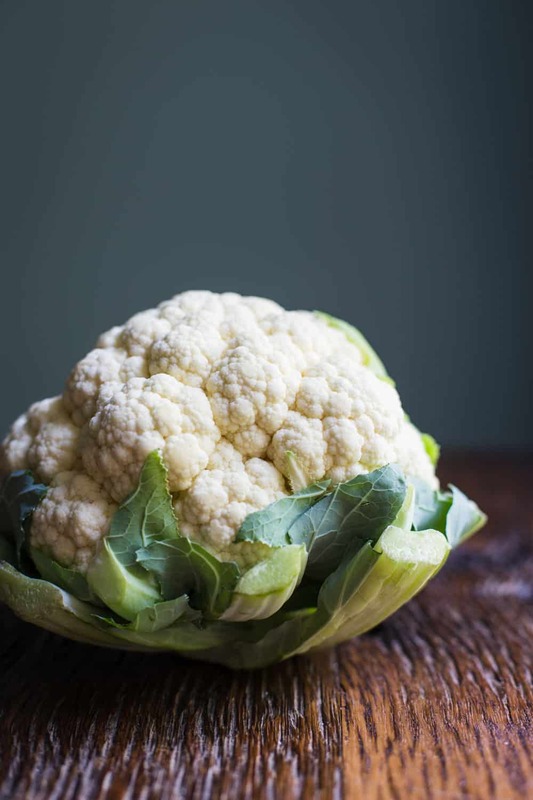 I do this TWO times per piece of cauliflower but you can also just do once. Gently place the cauliflower into the pot in a single layer. Fry for about 4-5 minutes on each side. It’s done when the breading just begins to brown. While one batch is frying, prepare the next batch. Place the finished pieces on the wire rack to cool down. Once all of the cauliflower is fried, prepare the spice mix by whisking together the spices and the melted butter in a small bowl. Place the cauliflower in a large bowl and drizzly the butter mixture over top. Toss to combine. Serve the Hot Cauliflower on the bread and topped with the pickle slices. Thought this was vegan? Concerned that step #4 requires an owl… Lol, funny typo. Do look forward to making this though. On the menu for this week. Thanks for sharing! I would suggest pouring the butter mixture over top & not tossing them in a bowl, as when we did it all the breading came off. 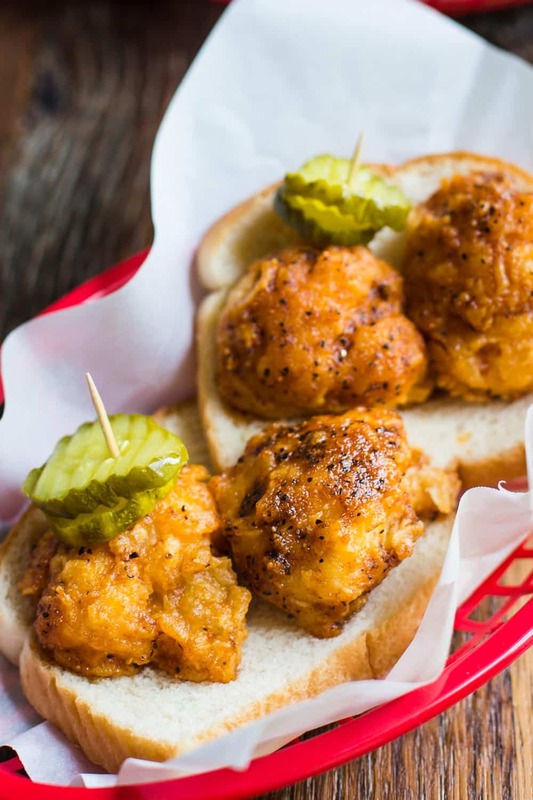 Pingback: 7 Nashville Hot Chicken recipes for your fall tailgating parties. Or dinner. This was everything I wanted it to be, and more. A room of superbowl watching meat eaters scarfed these down (and they’d already feasted on nachos)! I did sweeten up the sauce at the end with some agave syrup, and acheived spicy/crunchy/sweet nirvana. Thank you for the recipe! I will be making it many more times, I’m sure. YAY! So glad that you liked it. I haven’t made this in a while and need to!